This organization shall be known as Friends of Camp Whitsett, a charitable nonprofit unincorporated association registered with the State of California. The mission of Friends of Camp Whitsett is to identify, develop, and harness people’s time, talent, and treasure for the benefit of Camp Whitsett. 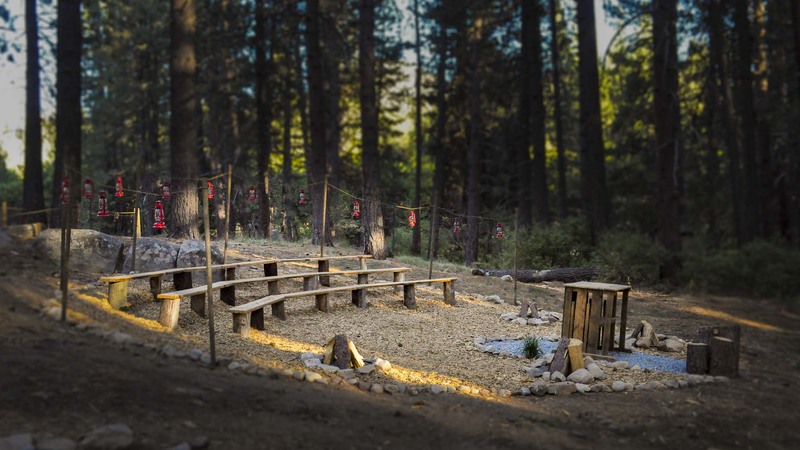 To identify and communicate with former staff members, campers, and supporters of Camp Whitsett, a Boy Scout Camp in the Sequoia National Forest operated by the Western Los Angeles County Council of Van Nuys, CA. To provide service to the camp in the form of physical labor. To provide financial support for improvements to the camp through monetary donations. To provide materials to the camp through like donations. To aid in the marketing and promotion of the camp. To provide a continually updated display of Camp Whitsett memorabilia at the camp to educate Scouts about the history of Camp Whitsett. To keep Members and Friends up to date on camp news through a newsletter. To plan and conduct events, including a summer gathering at Camp Whitsett, as deemed appropriate by the Board. There shall be two categories of affiliation with Friends of Camp Whitsett. Served on Camp Whitsett staff within the previous three years. Members shall have the right to participate in voting for Board Members, hold office as a Board Member, and other privileges within these by-laws or determined by the Board. Friends shall enjoy such privileges as determined by the Board. The amount of the annual dues shall be determined by the board for each calendar year. A written petition of expulsion charging an association member with specific behavior inconsistent with objectives of Friends of Camp Whitsett may be presented. The petition should be presented to the Secretary of the Association. Upon receipt of the expulsion petition, the board shall inform the accused member in detail of the expulsion petition, and conduct a thorough review of the specific charges. After review, the board shall vote to accept or reject the petition, with an affirmation vote of three-fourths of the members of the board voting necessary for expulsion. If the accused is a member of the board, they shall be ineligible to vote on expulsion. The governing body of the Friends of Camp Whitsett shall be known as the Board of Directors or the Board of the Friends of Camp Whitsett. It shall consist of twelve (12) directors. The Scout Executive of the Western Los Angeles County Council, or his designee, is invited to participate in Board Meetings in a non-voting capacity. The Board of Directors shall be responsible to the general membership for all formulation and implementation of specific policies and programs of the Association, and for the conducting of Association business. The Board shall pursue only such policies and programs which have as their sole purpose the furtherance of the objectives of Friends of Camp Whitsett, as stated in Article II. The Board shall solicit new ideas from the general membership for programs, projects and activities. The Board shall adhere to the desires of the general membership when planning and implementing all activities, programs and procedures. The Board shall regularly communicate to the membership the activities and decisions of the board. The Board, by majority vote, shall authorize all contracts, agreements, and obligations undertaken in the name of Friends of Camp Whitsett. Only Members shall be eligible to sit on the Board of Directors. A member may not hold more than one seat on the Board of Directors at any one time. All Directors will serve as an officer of the board or serve as a member of a committee of the Board. All Directors are responsible to generate an annual financial contribution at an amount to be determined by the board. Directors shall attend three-fourths of the regular meetings of the board. Directors should attend the annual general meeting of the Friends of Camp Whitsett. Directors shall take on other duties as necessary for the good of the association. Directors are volunteers and shall not receive any monetary compensation for work done on behalf of the Friends of Camp Whitsett. Employees of the Western Los Angeles County Council may not serve on the Board of Directors. Elected Directors shall be elected to a three-year term and serve until their successors take office, and may be re-elected to the board without limit. The election of Directors will be conducted each year at the annual general meeting during the summer gathering at Camp Whitsett. Four directors will be elected each year. At the 2012 elections, all twelve directors will be elected. Following the election, a random draw will determine the length of each director’s term. Four directors will serve a one year term, four directors will serve a two year term and four directors will serve a three year term. Eligible candidates seeking election must notify the Board of Directors by May 15 that year in order to be included in the advance notification and early voting. Candidates may submit a short statement of less than 100 words to be published with the early ballot. Eligible candidates may also declare their intention to run at the general meeting. Voting members will be notified of the declared candidates for office by June 1. Members may vote by mail or electronically prior to the general meeting. Ballots must be received no later than three days prior to the general meeting. Members who vote using early voting are ineligible to vote at the general meeting. The candidates for open positions with the largest number of votes out of the ballots received shall be elected. In the event of a tie, a runoff election will be held at the general meeting. All members present are eligible to vote in the runoff election. Results of the election will be announced at the general meeting. Elected directors will take office at the first board meeting after September 1. At the first meeting of the board after September 1 of each year, the board will elect from its members the officers of the board. The outgoing officers will convene and preside over the meeting until the new officers have been elected. The officers of the board and their responsibilities are as follows. Officially represents the Association in all business matters. Conducts both general and Board meetings. Appoints any other position should it become vacant between elections. Appoints chairpersons for committees as needed. Implement all Association mandates in a timely manner. Prepares the annual report to the membership. Votes at board meetings only in case of a tie or when in need of a quorum. Acts as signatory on financial accounts. Holds directors and chairpersons accountable. Assists the President in performance of duties. Assists all committee chairpersons with performance of duties. Presides over meetings in the absence of the President. Other duties as assigned by the President or the Board. Maintains and distributes written records of Association activities, including minutes of meetings. Maintains the legal records and documents of the association. Responsible for general Association correspondence. Oversees the Association’s communications and publications. Responsible for collecting and disbursing the Association’s monies. Responsible for maintaining a documented record of all monetary transactions. Maintains records of individual donors and provides annual acknowledgement of donations to donors as required by the IRS. Acts as primary signatory of all financial accounts. Submits regular financial reports to the board. Submits an annual financial statement to the Board each January. Presides over meetings in the absence of all other officers. The President will appoint the chairpersons for committees as needed. Timely in this context shall be understood to mean whenever deemed necessary by the Board. Committees shall consist of as many members as deemed useful or necessary by the committee Chairperson or the Board. Committee Chairpersons may be replaced at any time by the President or a majority vote of the Board. All ad hoc committees dissolve upon completion of assigned responsibilities, or at any time by the President or a majority vote of the Board. Responsible to keep an inventory of all memorabilia owned by Friends of Camp Whitsett. Receives memorabilia donations and determines the best course of action for those items. Responsible to ensure that all memorabilia is stored and archived safely. Responsible to maintain the displays of Association-owned memorabilia at Camp Whitsett. Develops and maintains a history of Camp Whitsett. Works with the technology committee to develop and maintain an online museum. Responsible for sharing information about the history of Camp Whitsett with the membership and the general public. Responsible for all fundraising programs and initiatives. Works with the membership committee to increase membership and membership giving levels. Oversees donor recognition programs and events. Supervises short-term and long-term giving campaigns. Coordinates with the activities committee for fundraising events. Responsible for all association social events. Improves and expands fellowship program. Regularly contributes articles to the communications committee for publication. Coordinates with the fundraising committee for fundraising events. Coordinates with the membership committee for membership events. Coordinates with the Camp Ranger for camp work parties. Improves the identity of the association with the membership, at camp, and with the public. Oversees the branding, logo, and image development of the association. Creates merchandise items for the association. Works with the activities committee to expand the identity of the association at events. Should a vacancy occur on the board, the President shall appoint a replacement with the approval of two-thirds of the board, to serve the remainder of the term. Should a vacancy occur of one of the four officer positions, the Board will elect a replacement from its members. A written removal petition, detailing specific charges of misconduct against any individual Director, may be submitted to the Board by any three Directors or any five Members. The Board shall notify the Director so charged and shall conduct a detailed review of the specific charges alleged. The review will be conducted by a three director committee appointed by the President (or the Vice-President if the President is charged). Directors submitting the petition and the charged Director may not serve on the review committee. If the review committee finds merit in the charges, the Directors shall be given a copy of the petition and the results of the review. A special meeting of the board will be held not less than 21 days after this notification. A unanimous decision of directors present and voting at the special meeting is required to remove the director. The Director being charged shall not have a vote at this meeting. Members submitting the petition shall be invited to attend the special meeting and notified of the results of the vote. There will be a General Meeting of the Membership held at a summer gathering at Camp Whitsett. At this meeting elections will be held for open Director positions, and the President will present the annual report of the organization to the membership, including financial and membership information. Other Meetings of the membership may be called by the Board for special purposes as needs dictate. The Board of Directors shall hold regular meetings at least four times each year for the purpose of conducting Association business. These meetings shall be opened to all interested. Meetings of the Board shall be called by the President when requested by any three members of the Board, or by any five Members of the Association, or at the discretion of the President. In all cases, notification for a Board meeting shall be given at least two weeks in advance, and shall state the time and place of the meeting. Meetings of committees will be held as necessary and called by the chairperson of the committee. The Board shall have the specific authority to adopt at any time, in whole or in part, any recognized body of parliamentary practice to supplement specific rules cited herein or other special rules adopted by the Board. The Board shall have at any time the specific authority to rescind any such adoption, to adopt any other recognized body of parliamentary practice in like fashion, or to adopt no such body of parliamentary practice, without limit. In any case of conflict between specific rules cited herein or special rules adopted by the Board and rules of any body of recognized parliamentary practice so adopted, the specific rules cited herein or other special rules adopted by the Board shall take precedence. Whenever possible, decisions of the Board shall be reached during scheduled meetings of the Board. All Directors shall have one vote of equal standing in all Board decisions. A quorum, consisting of two-thirds of the Board members, shall be required in order to legally conduct Association business other than a telephone / e-mail poll decision. Remote participation by voice in the meeting counts as part of the quorum. Except where otherwise noted herein, a simple majority of Directors voting shall approve all motions. In the event urgent business requires a speedier decision than a scheduled Board meeting will allow, the President may poll the members of the Board individually, by telephone or e-mail. The request of three Directors shall require the President to poll the board. All members of the Board must be contacted in any telephone / email poll. A minimum of 24 hours must be allowed to provide the opportunity for discussion. All members of the Board must submit a vote or abstain on the motion in order for the vote to be valid. The Board shall cause the financial affairs of Friends of Camp Whitsett to be conducted on a calendar year basis. The Board shall approve a budget for operating expenses for each fiscal year. The Board shall authorize all expenditures of the Association funds. The Board shall not authorize the creation of any amount of indebtedness in the name of Friends of Camp Whitsett. The Treasurer shall only issue checks for expenditures that are included in the approved budget or authorized by the board. In January of each year, the Treasurer shall provide a written annual report of all financial transactions for the preceding calendar year. At any time the Board may authorize an audit of the Treasurer’s reports and statement of all accounts. All tangible property of Friends of Camp Whitsett, as well as all financial records, “books”, minutes, rosters and other records of Friends of Camp Whitsett in the care and custody of any members, remains the property of Friends of Camp Whitsett, and upon demand of the Board shall be immediately returned to the custody of the Board. This Constitution and by-laws may be amended or revised by a two thirds vote of the Directors, subject to final approval by a majority of members voting at the annual general meeting. The Board is held responsible for the reviewing of these by-laws a minimum of every two years by a committee appointed by the President, consisting of two or more members. Effective as of September 1, 2012. Amended January 16, 2013.